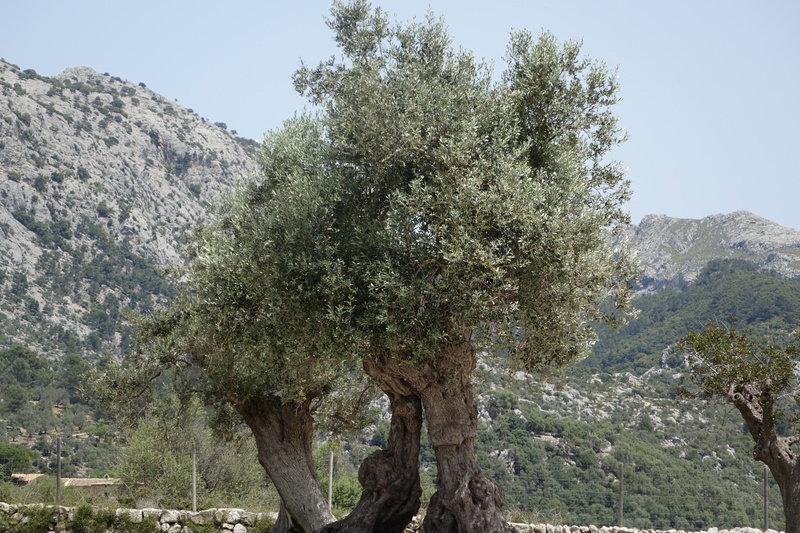 If I were a poet, now would be the time to lapse into a suitably poetical homage to what I consider to be one of the most beautiful trees on the earth: the olive tree. 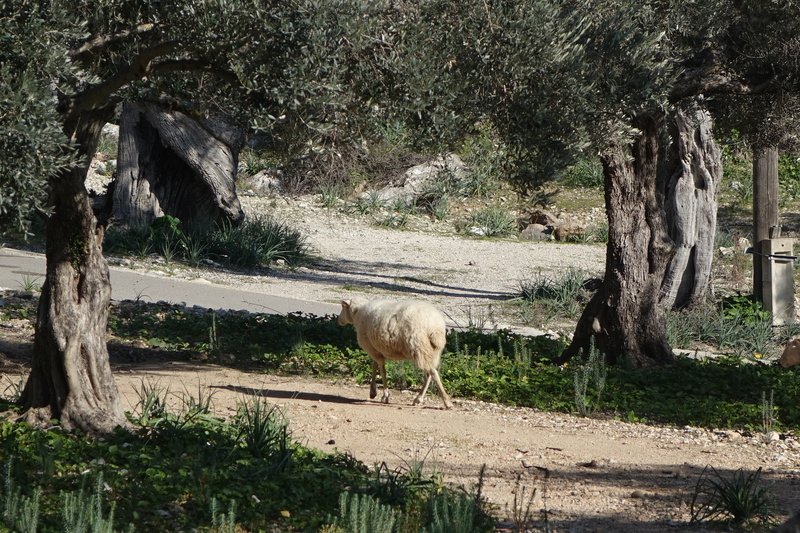 And I should know, for living now on the Mediterranean island of Mallorca, I find myself surrounded by them. 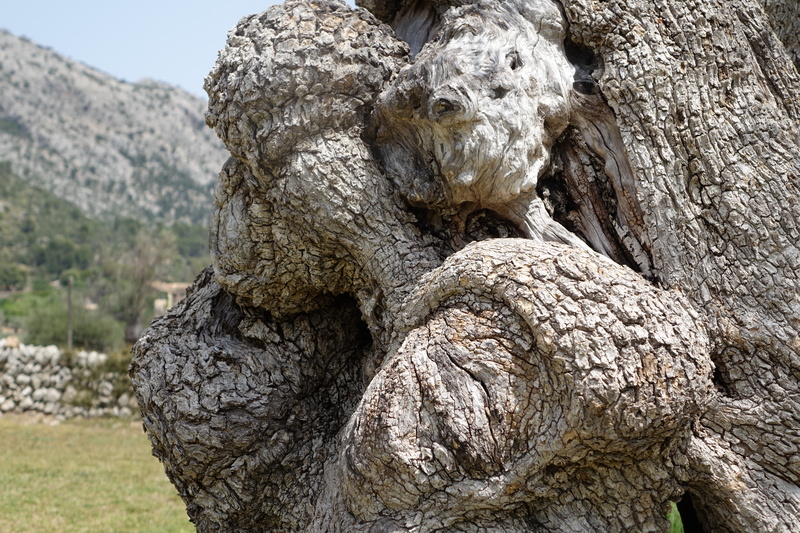 And yet poetry has never been my strong point, hard as I might try, but happily I always have my camera, and a photographic homage is surely apt adulation for a tree which is, after all, so visibly magnificent. 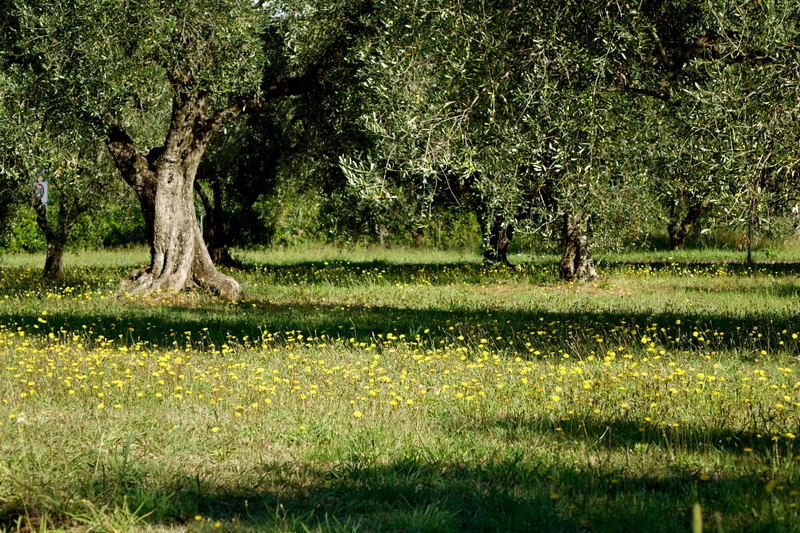 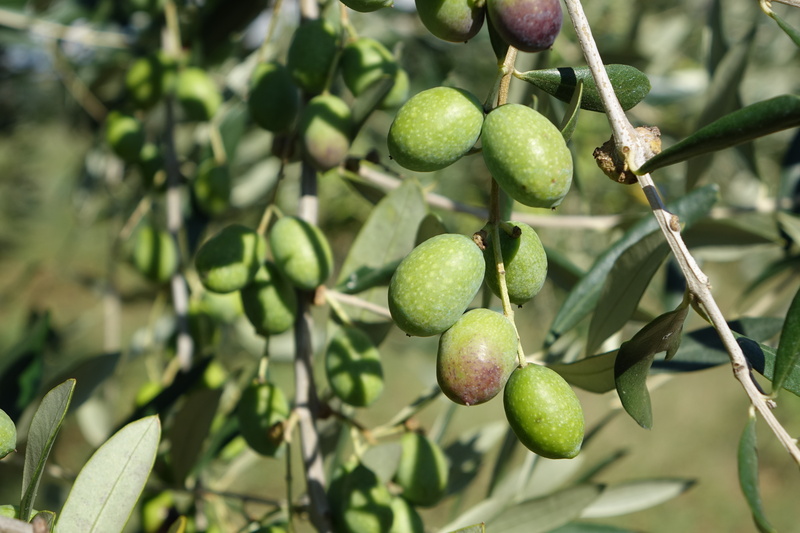 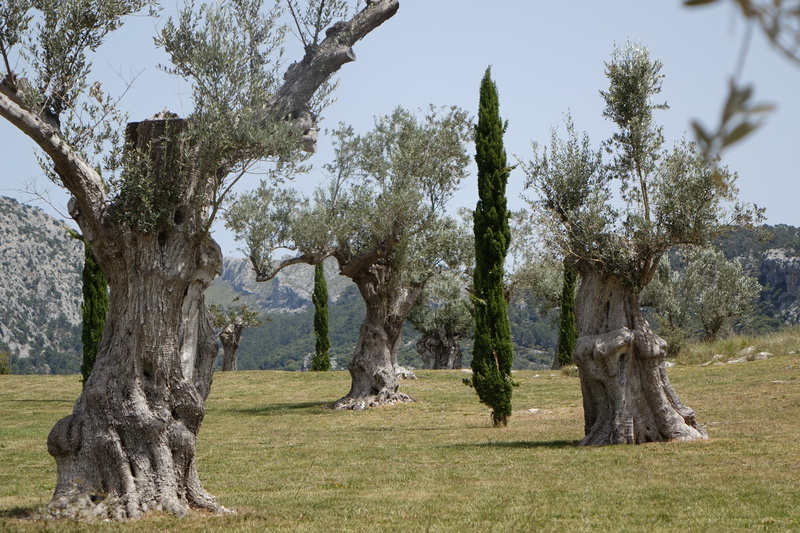 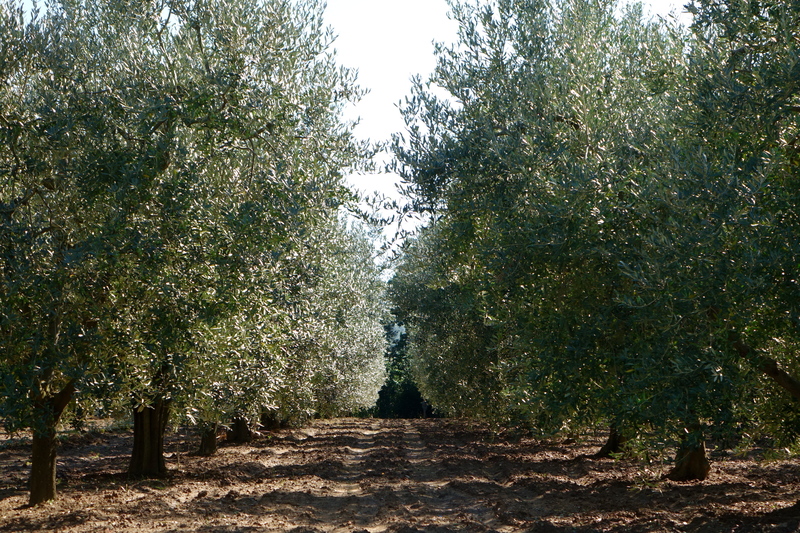 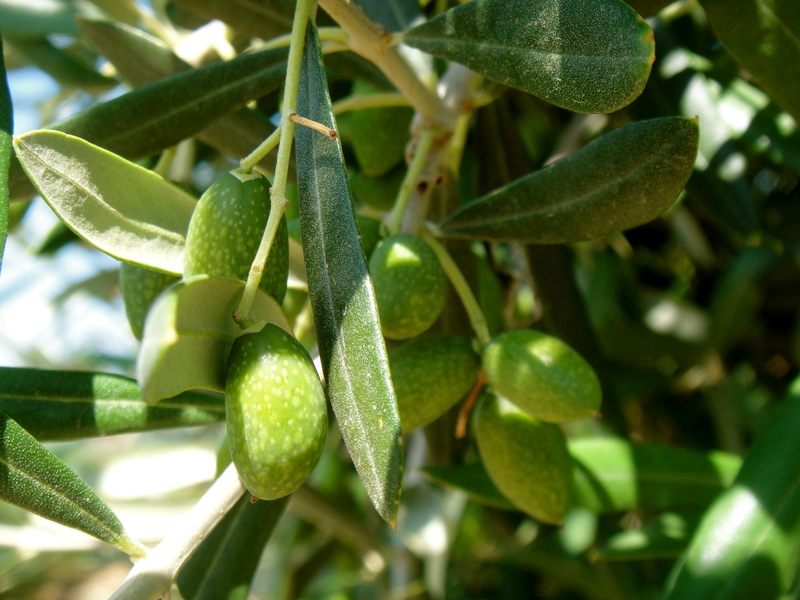 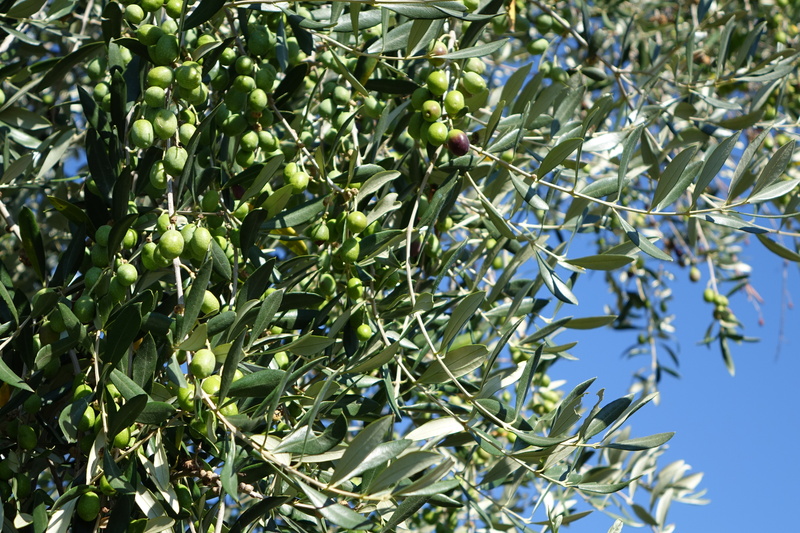 Whether they be young trees cultivated in long lines for the mass production of their oil, or the stunning old trees whose every twist and turn and ancient nook and cranny tells a thousand stories of its longevity on the earth, olive trees are a veritable feast for the eyes. 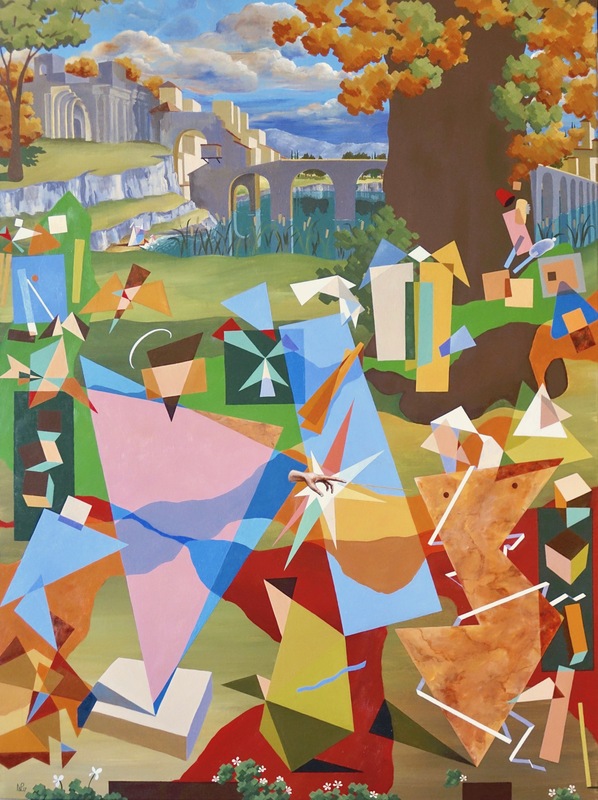 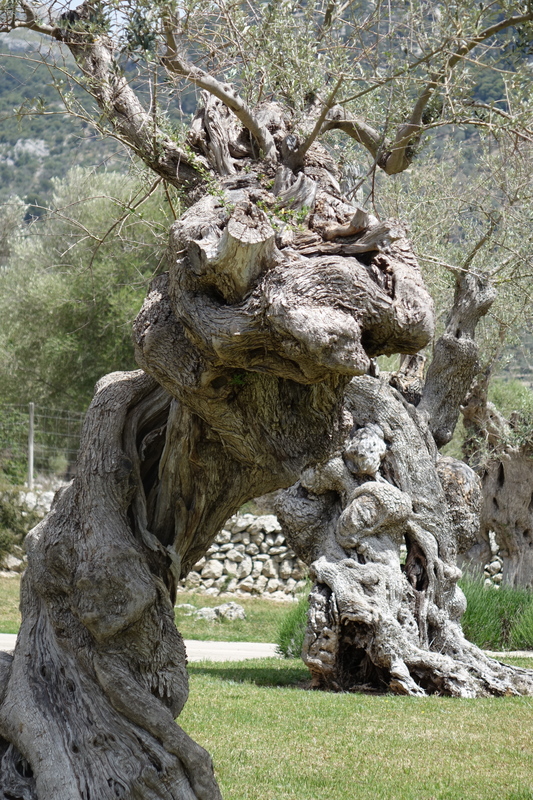 Every tree is so different, and the older they get, the more whimsically sculptural their trunks become – like the creation of the maddest surrealist or the most imaginative fantastical painter. 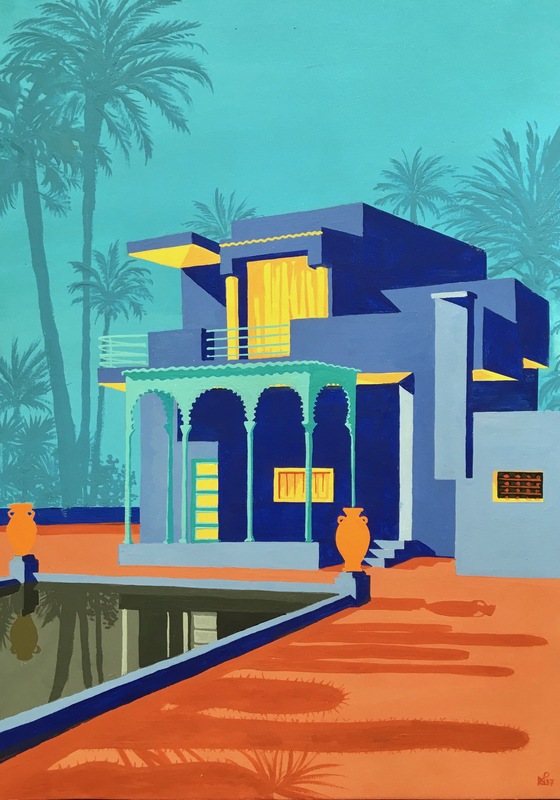 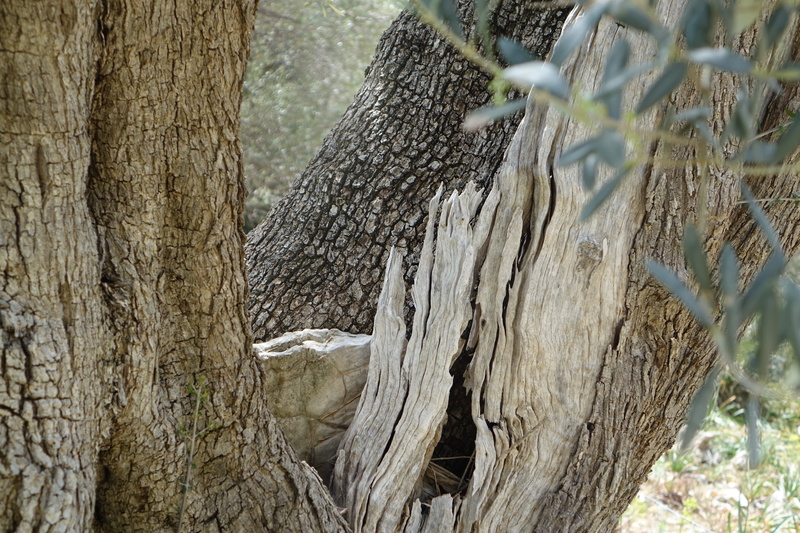 And amongst leaves of near-silver, plump fruit of purple and green, and sometimes even a polished lacquered black are the perfect product of so complex and beautiful a tree. 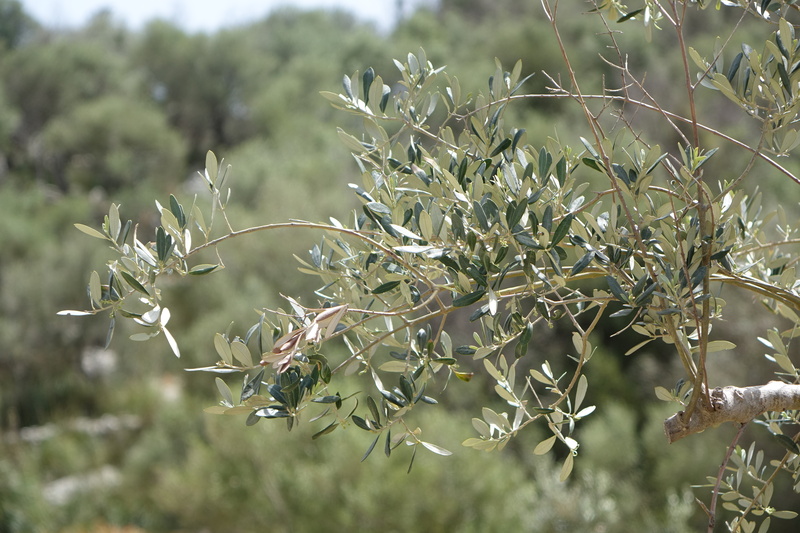 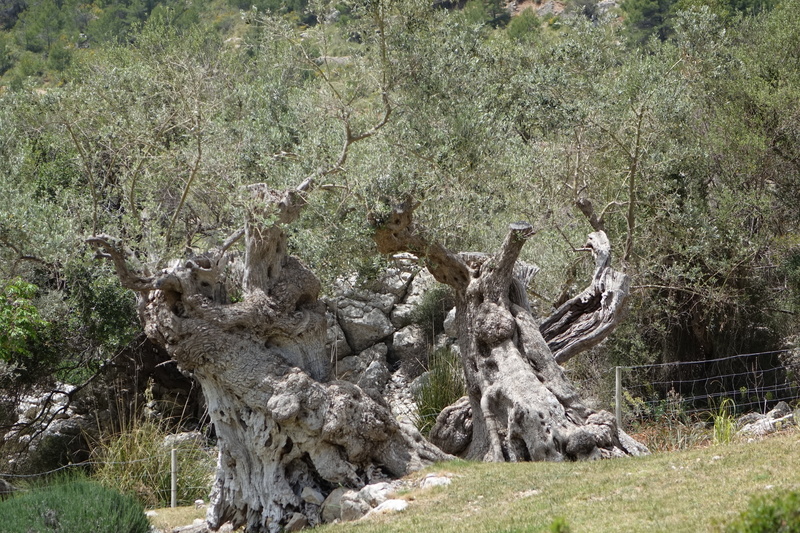 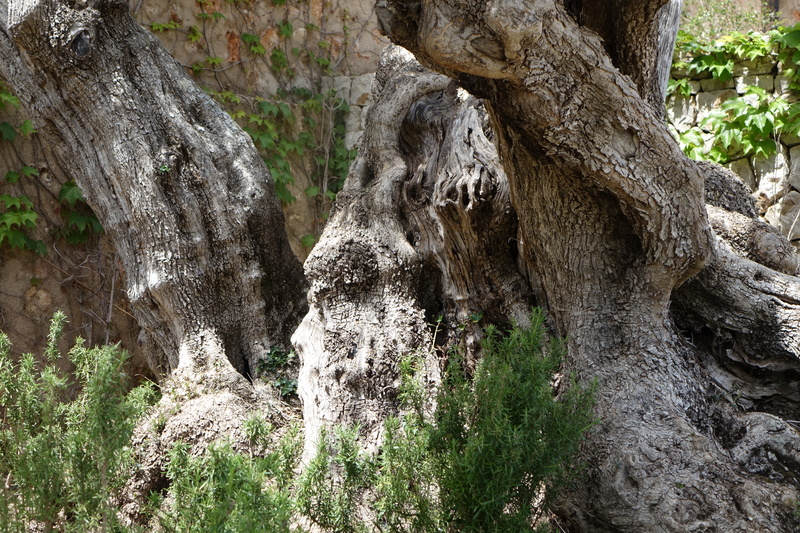 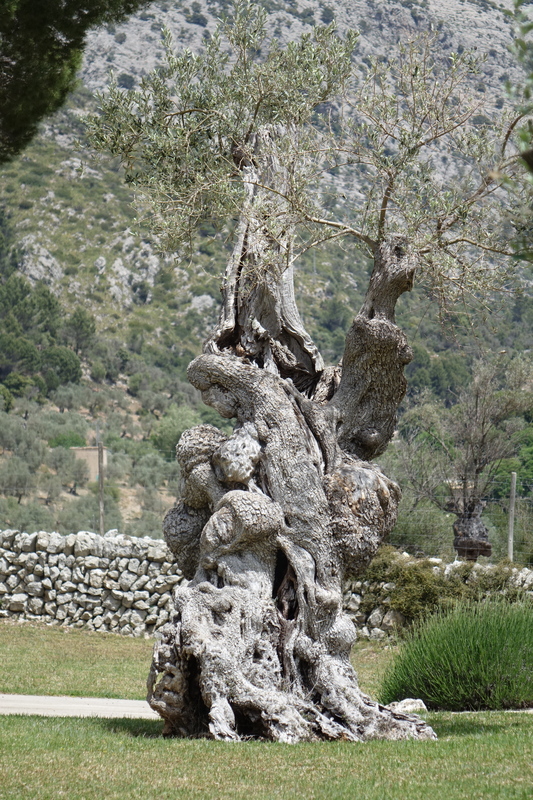 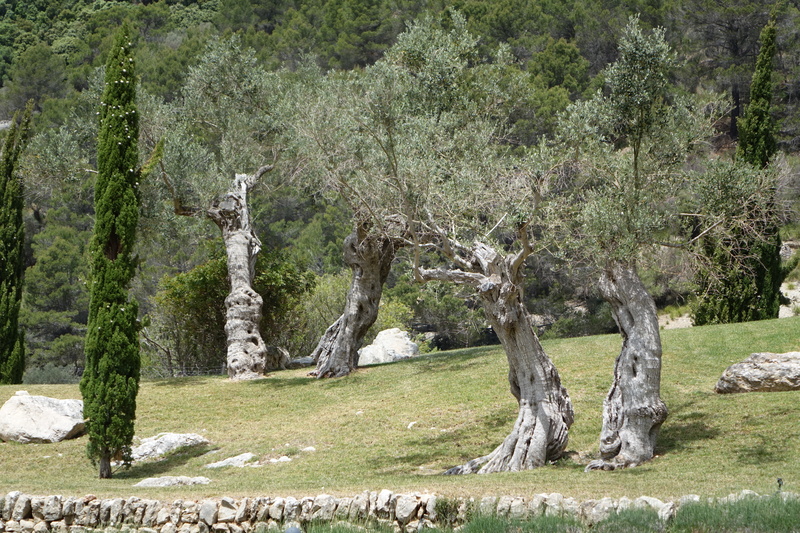 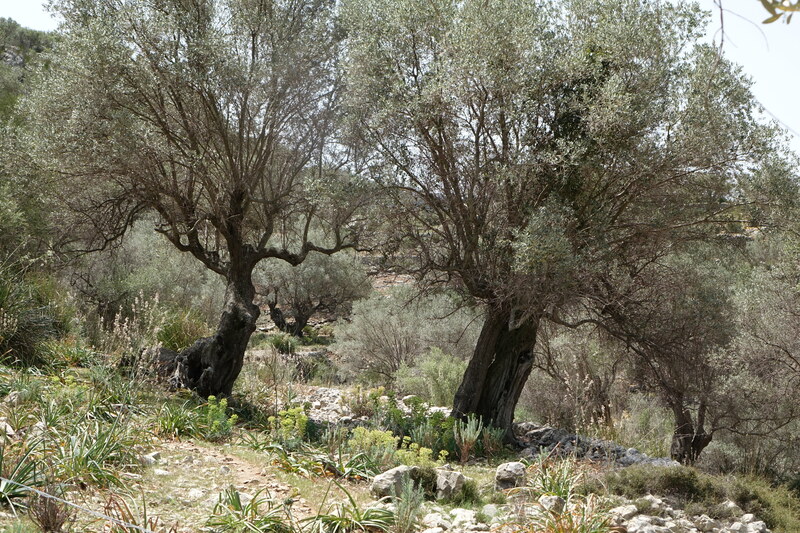 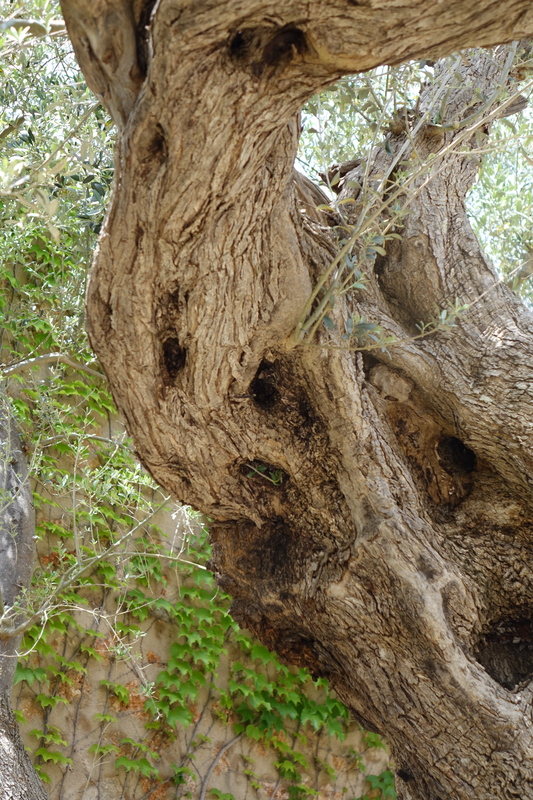 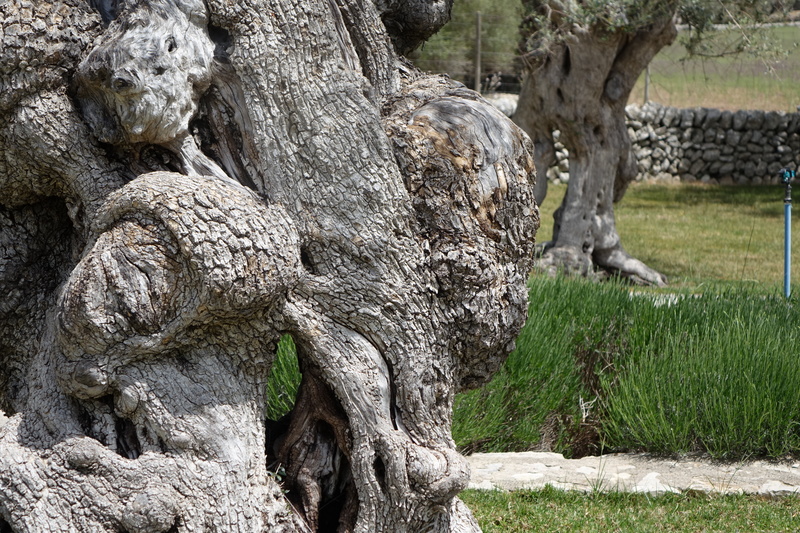 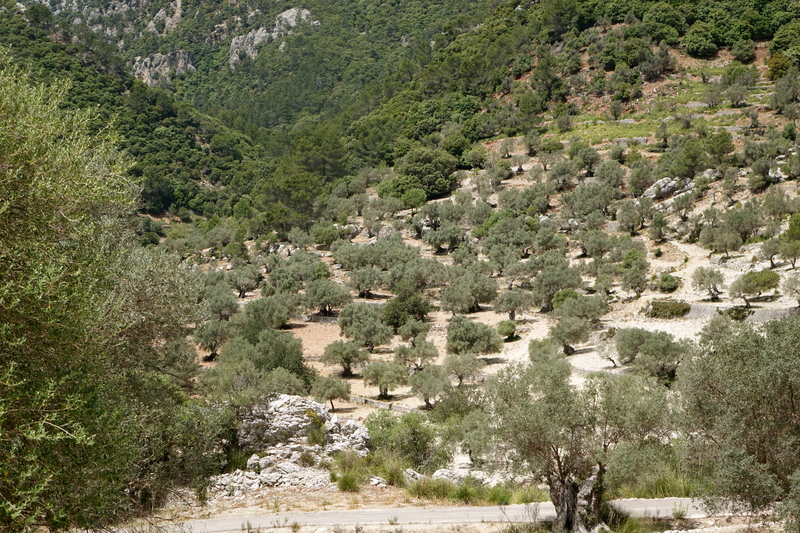 So with photos taken across Mallorca, this is my homage to the olive tree.